Ms. Natalie Mallis, the lead Toddler D teacher for our Park West center, is originally from Marin County, California. 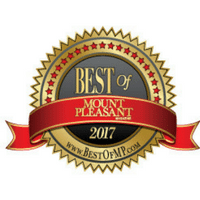 When she moved to Mount Pleasant a little over two years ago, Children's Discovery Center was at the top of her list of places to work after her initial visit. "Because of how welcoming and helpful the other teachers and administration were, I knew this was where I wanted to be," said Natalie. "Plus, the school is beautifully designed and I love the class structure. It feels like a real school!" Natalie particularly enjoys teaching her students new things, such as French or sign language, and watching her students grow and develop. Additionally, seeing how excited the children get when they accomplish their goals or conquer a new skill like potty training is the main reason why Natalie loves working with children. When utilizing the Reggio Emilia philosophy in her classroom, Natalie is excited that she can use nature as inspiration for her projects. 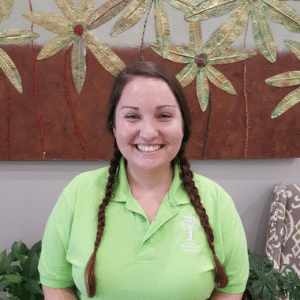 When she’s not at Children’s Discovery Center, Natalie can be found watching movies, relaxing and exploring the Lowcountry. She especially enjoys trying new things and discovering new places. Her personal motto, “to live in the moment,” allows her to not worry about the past or stress about the future, and just stay present — especially when she’s working with the Toddler D students at Children’s Discovery Center!